Have you thought about getting more involved in our organization? Or, want a great way to meet people involved in #edtech in Illinois? Thinking about growing your PLN? This is your opportunity! Come and join the army of volunteers who put this event together. You won't regret it! 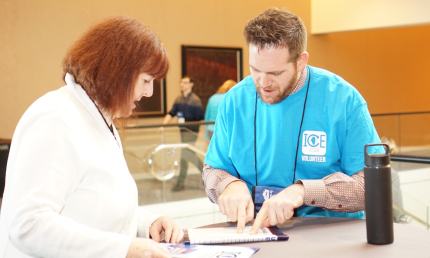 Volunteering at #ICE19 is a rewarding experience, providing you with opportunities to network and make new friends as well as contribute to an enhanced conference experience for all attendees. 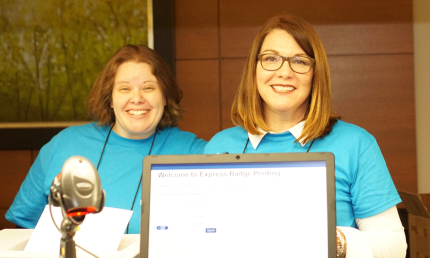 If you are interested in volunteering, please go to the #ICE19 Volunteer Application - bit.ly/ICE19volunteers - and sign up today! Volunteers may sign up for a specific task and a specific 2-hour time slot. 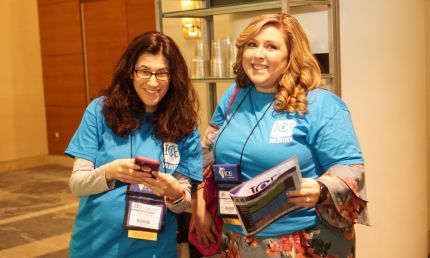 A huge thank you go out to our #ICE19 Volunteer Committee Chairs, Charlene and Lauren for their work on this! If you have further questions, please don't hesitate to reach out to Charlene and Lauren at volunteer@iceberg.org. Don’t forget to follow @ice_il and #ICE19 for more information! See you soon!